Back on the market after buyer financing fell through! 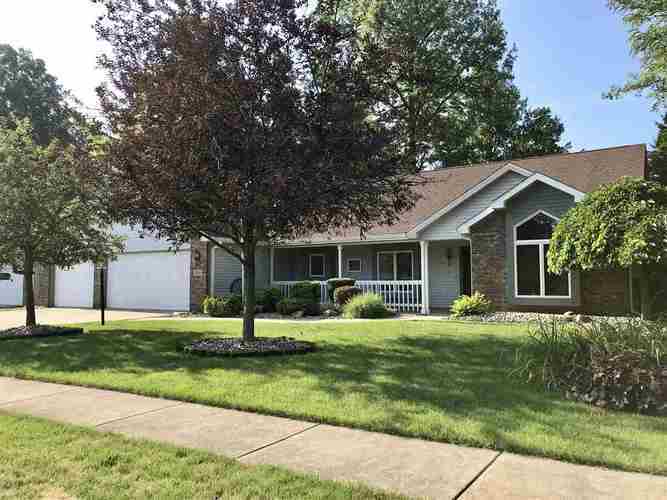 Here's your chance to have a meticulously maintained, sprawling ranch in the well established Northbrook neighborhood. The owners have done everything for you, including adding onto the 3 car garage, creating a 14x16 heated workshop! You'll have no troubles with any of your projects or hobbies now that there is 220 & 230 amp service, too! The sellers have updated by having a brand new roof put on, replacing the furnace, AC (with power heat pump) & appliances. The private, fenced in back yard offers a quiet, wooded retreat with a new stamped concrete patio and electric outlets. The front yard is lush with absolutely flawless landscaping and a covered front porch. Inside you'll find a split bedroom floorplan, large eat in kitchen complete with an island, Anderson windows, vaulted ceilings in both the living room and master bedroom, three full bathrooms, large lighted closets and a gas floor to ceiling fireplace. The master suite offers a walk in closet and private bath equipped with both a stand-up shower, jetted tub and a double vanity. Move right in and enjoy!